Earlier, the chief judicial magistrate’s court had on April 22, 2015, awarded a compensation of Rs 2.75 crore to the affected persons and sentenced the doctors to one-year imprisonment, holding them guilty of criminal negligence. The additional district judge enhanced the compensation to Rs 9.85 crore in November 2017. 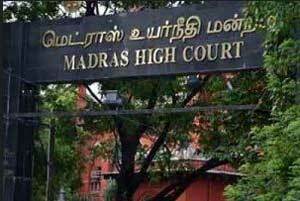 Madurai: The Madras High Court set aside on Monday a lower court order holding four doctors of an eye hospital guilty of negligence after 60 people lost their eyesight after undergoing cataract surgeries free of cost at a camp in 2008. Justice G Jayachandran of the Madurai bench of the high court also set aside the November 18, 2017, order of the Additional District Court III (appellate court), enhancing the compensation to the affected persons to Rs 9.85 crore from Rs 2.75 crore. Quoting the prosecution report, the judge observed that the inspection of the operation theatre was conducted in 2011, three years after the operations were conducted. The judge said the prosecution had failed to make out a case against the doctors regarding any implied state of mind to cause harm. “The doctors could have failed to exercise due diligence,” the judge said. The lower courts were concerned about the gullible poor victims and that was why they had traversed beyond the scope of IPC 338 (causing grievous hurt by act endangering life or personal safety of others), the judge said. The compensation fixed by the first trial court (chief judicial magistrate’s court) was correct, he said and set aside the enhanced compensation awarded by the appellate court, “which did not have a clear basis for enhancing the compensation”. Sixty people lost their vision after undergoing cataract surgeries free of cost at the camp in Perambalur conducted by Joseph Hospital, Tiruchirapalli, in 2008. The Central Bureau of Investigation (CBI) took up the investigation following protests and registered a case against the four doctors and the hospital management. The chief judicial magistrate’s court had on April 22, 2015, awarded a compensation of Rs 2.75 crore to the affected persons and sentenced the doctors to one-year imprisonment, holding them guilty of criminal negligence. The additional district judge where an appeal was filed, enhanced the compensation to Rs 9.85 crore in November 2017. The doctors challenged the order and moved the high court.